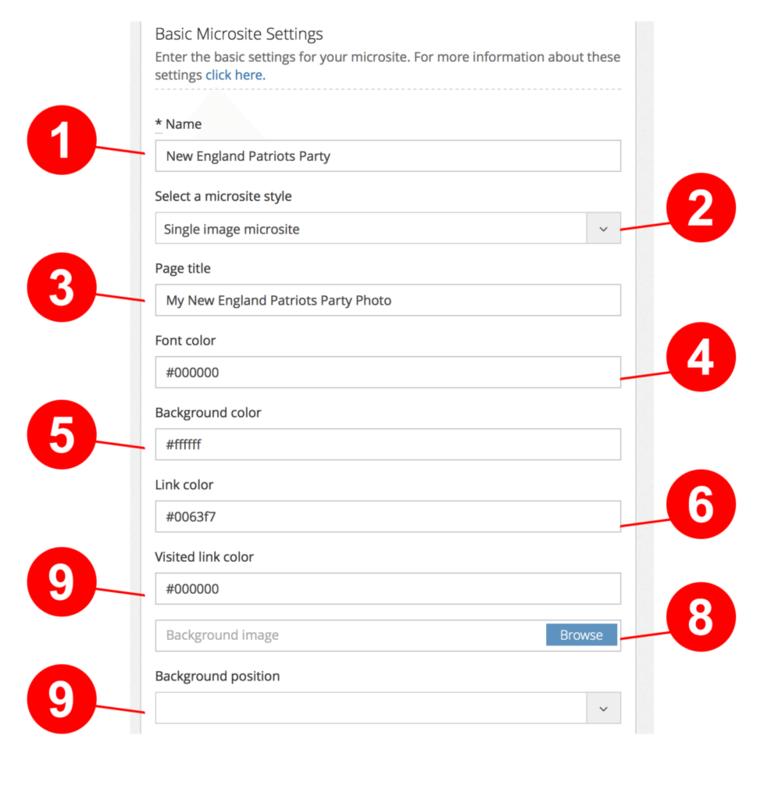 This guide goes over all of the fields within the Basic Microsite Settings. Name: Your client will not see this. This is so you can distinguish your various microsite templates and assign them to the events. Single Image Microsite - Will only show one image on the microsite. Each guest will receive a link to their own photo. Full Gallery Microsite - Each guest will receive a link to view the entire gallery of the microsite. Page Title: This is the title will be visible in the web browser. Font Color This changes the font color of the microsite page. Background Positions: You can set the background positions to be either Fixed, Full Stretched or Repeated.